There are not many people alive who could pull off being an influential political adviser, a mathematician and scientist, and a magician and mystic all at the same time. 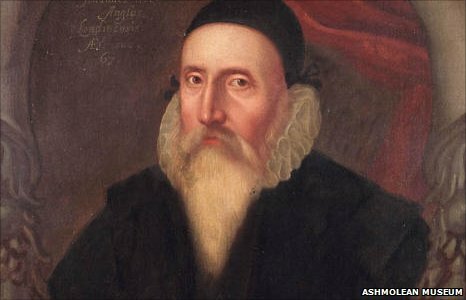 But during the reign of Elizabeth I, Dr John Dee was such a man - an influential polymath who got some of his information from a seance and a crystal ball. Now, the purported inspiration for Shakespeare's enigmatic magician Prospero in The Tempest and Marlowe's devil-dealing Doctor Faustus has taken someone else captive with his mystical charms. Blur and Gorillaz frontman Damon Albarn is writing and performing the music for Dr Dee: An English Opera, which opens in July as part of the Manchester International Festival. "I'm not walking around in a ruff and tights," he says in an interview with Radio 4's John Wilson, but he admits a profound affinity with the cosmic Elizabethan mastermind. "I've got a really strange emotional connection - it really gets to me, that haunted, magical England. "It's something that really stirs me in an irrational way." Indeed, to the modern mind, many of Dee's ideas could be construed as somewhat irrational. "He was working at a time when there was considerable uncertainty about what you could know was true," explains Benjamin Woolley, a historian whose biography of Dee has in part inspired Albarn to embark on his musical project. Following Henry VIII's separation from the Catholic Church, the landscape of ideas in Europe was in a state of flux. Renaissance men such as Dr Dee were suddenly free to speculate about material and mystical possibilities. Dee's mission, said the historian, was to find a unifying principle, a theory of everything which united ideas of Arabic algebra - infusing into Europe from the Muslim conquest of Spain - as well as astrology, mysticism and the wisdom of ancient traditions being unearthed by Renaissance scholars. His belief was that a universal language could be found, the language of God and the builders of the Tower of Babel, "a language that would embody the truth of the Universe", Mr Woolley said. He designed a hieroglyph, the Monas Hieroglyphica, which embodied this unifying principle - the astrological symbols united in one form. But in an age where knowledge was not divided into set subjects as it is today, Dee was also influential in the development of cartography, training navigators who set out on voyages of discovery and working on the division of the natural world into species. In his library he collected Renaissance texts and the histories of Britain, described by Benjamin Woolley as Britain's first national archive, "a cosmos in the cottage", in which texts which may not have survived without him were squirrelled away and studied. He was a powerful adviser to Queen Elizabeth I, credited by Mr Woolley as coming up with the idea of a British empire after the Spanish conquest of South America, and a spymaster too, setting up a network of informants to crack Catholic codes in the military build-up before the Armada. "He was one of the last great free thinkers, because science and magic had yet to part company," says Rufus Norris, the opera's director. But his life was not just one of esoteric and political ideas. "The man who at the time knew more than anyone else, certainly in Britain, managed to mess up the things closest at home," says Mr Norris. 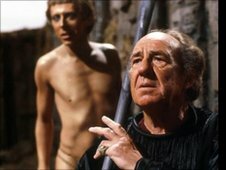 Perhaps the strangest episode in Dr Dee's life was when, with his reputation under fire over political intrigue and espionage in the English court, he set out across Europe with Edward Kelley, an earless mystic who believed he could talk to angels with the help of a crystal ball. The relationship fell apart when Dr Dee lost confidence in Edward Kelley's announcement that the angels had told the two they must share everything, including their wives, but not before his wife had become pregnant with what was believed to be Edward Kelley's child. This concoction of Renaissance ideas and a human story is being brought to life with an eclectic musical composition - featuring medieval instruments, West African drummer Tony Allen, and Damon Albarn's unmistakable vocals. 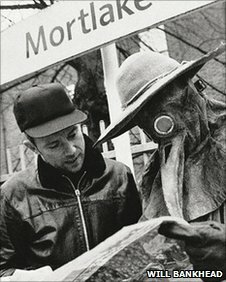 For Damon Albarn, his performance on stage will echo one of John Dee's own obsessions - a book he unearthed in Europe called the Steganographia, which Dee believed offered a mystical form of instant communication across time and space. The opera, Albarn says, centres on the period at the end of Elizabeth I's reign and the start of James I's, at the beginning of "the puritanical purge of all of those esoteric ideas in England". "I exist towards the end of another Elizabeth's reign, her sort of golden twilight years. There is a real connection. "On stage I am here now, but I am sort of travelling." So this moment in English history, and the character of John Dee - who Albarn believes has been "whitewashed" out of history - means more than just a useful device for an entertaining evening. "It's just amazing how much colour there is in his ideas. Just imagine the English now if we had kept that spirit in our hearts." Get in touch with Today via email , Twitter or Facebook .